The latest additions to the Linea Ceramics range, Pro-Line and S-Plan, both are contemporary in style with their curves and bold statement, both rich in design. Pro-Line offers an attractive high quality suite that is built to last. 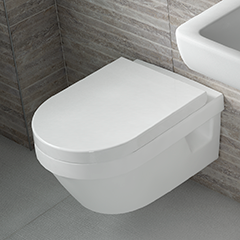 Choose from the Back to Wall, Standard, or Wall Hung Pan, also with a choice of 3 different basins included within the range to choose from. 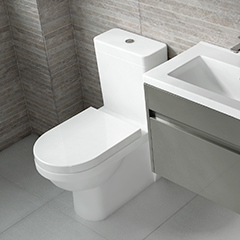 Each piece is made from high grade ceramic, and the scratch resistant gloss finish protects your sanitaryware. 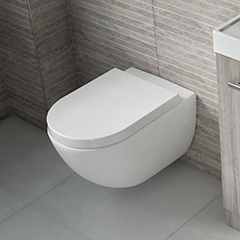 The S-Plan collection features a beautiful range of ceramics products, from the luxurious double basin to the wall hung bidet. This exquisite collection can be mixed and matched to create the perfect look for your bathroom. Both collections are tough, durable and easy to clean which makes them perfect for the whole family to use. Have a look through the two collections and be inspired, these pieces also work well with the Zaneti furniture range avaliable in the Q4 Brochure. Click here to view Suites. About Q4 Bathrooms: Q4 Bathrooms is a privately owned independent bathroom wholesale business. 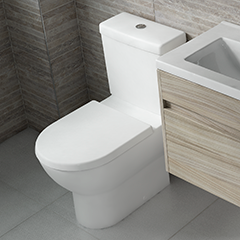 With over 30 years of providing high quality bathroom products, excellent customer service and next day delivery to 95 percent of our customers, it’s no wonder we have built a reputation as one of the UK’s leading bathroom distributor.